An Associate of Science in Medical Assisting will prepare you to work in a medical office, assisting practitioners with examining and treating patients, performing laboratory testing, and providing administrative support. 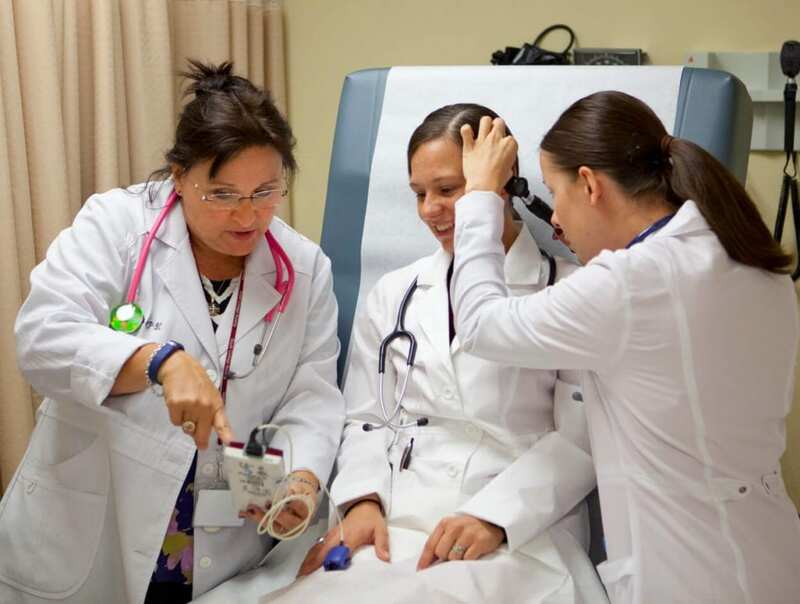 If you enter this program as a certified medical assistant, it will help you build on that status to expand both your career options and your earning potential. As part of this two-year degree program, you will learn a variety of related skills, including medical billing and coding, patient care management, and taking patient medical histories. We pair students with on-the-job clinical coursework, providing classroom support for experiential learning so you can get the most out of your degree. You’ll receive the educational instruction you need alongside practical training that will help to make you more competitive in a rapidly growing job market. If you enter this program as a part of our 1 + 1 program with the Certificate in Medical Assisting, you will only have 3-4 quarters of general education requirements to complete your degree. What can I do with an Associate of Science in Medical Assisting? To excel in the Associate of Science in Medical Assisting program, students must be committed to delivering the best patient care possible. You’ll have to work effectively as a team supporting a physician, communicating clearly and productively with medical professionals and patients alike. You should have excellent time management skills, turning in assignments and completing required reading on time. Classroom participation is a must. South College finds excellent clinical placements for our students, where you can learn real-world applications of your classroom skills. Our team of experienced, certified educators is invested in the success of every student. Instructor assistance and free tutoring services are available as needed.